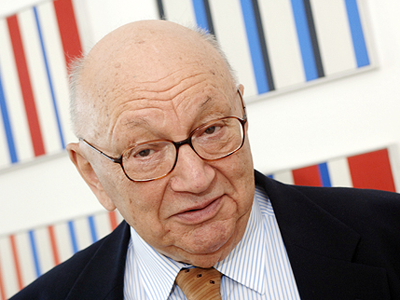 Dr. Branco Weiss, a Swiss Jewish philanthropist (1929–2010), established the Branco Weiss Institute for the Development of Thinking in 1990, in concert with the Ministry of Education. He provided us with a social and educational vision with a core commitment to provide educators with the knowledge and tools they need to lead Israeli teenagers towards significant achievements. Dr. Weiss has initiated and was involved in many projects benefiting academia and the community in Swizerland. In Israel, his contribution focused on the Branco Weiss Institute, based on the empowering social idea that his role as a donor is to give young people the tools they need in order to lead a life of activity and self-realization. His philanthropic approach was based on accountability – a commitment to many years of involvement and attaining results. Dr. Weiss has passed away on October 31, 2010.